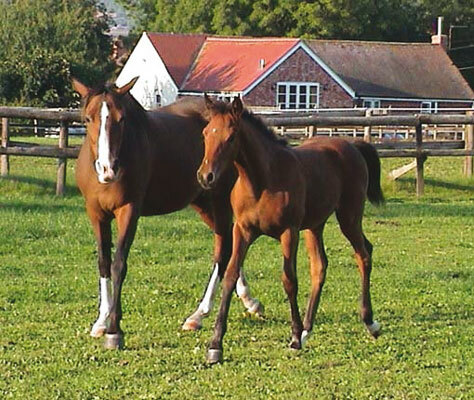 Bay Mare born 13 July 1994. 15 hands 1"
By Rabdan Alahmar (BH) out of Hamdanieh Waselah (BH). Bred by His Highness Sheikh Mohammed bin Sulman Alkhalifa. Hamdanieh Habiba joined our family of Asil horses at Pearl Island Arabians early in 2004. The story leading up to Hamdaniehs arrival at my door is referred to as 'weird' by my family and 'as written' by my Arab friends. Hamdanieh Habiba is from the most treasured lines of the Royal Stud of Bahrain. 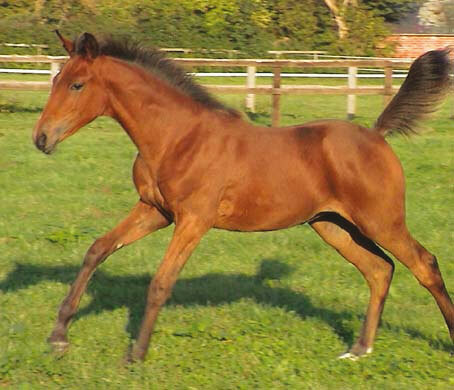 Considered one of his best mares by her breeder His Highness Sheikh Mohammed Bin Sulman Alkhalifa she was presented, by Sheikh Mohammed, as a gift to his brother The Amir of Bahrain, His Highness Sheikh Isa Bin Sulman Alkhalifa. The Amir loved her and on my visits to Bahrain I was often shown the young Hamdanieh Habiba. In 1999 The Amir, God rest his soul, died and his small personal stud of pure Bahraini horses were taken into the larger studs, but Hamdanieh Habiba was gifted to His Highness Sheik Hamdan Al Maktoum. Hamdanieh Habiba was brought to England, to Sheikh Hamdanís stud at Newmarket. I intended to ask permission to visit the mare but due to business and family commitments I never got round to it. 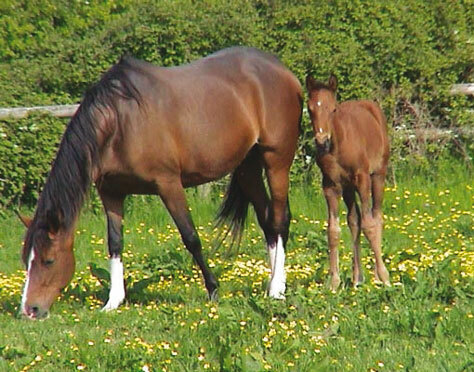 Several years went by and Hamdanieh settled into life as a broodmare at Shadwell. Then one morning last May (2004) I awoke after a restless night of vivid dreams (this is the bit my family call spooky). All night I had dreamt about Hamdanieh Habiba and throughout the day I couldn't get her out of my mind. I decided to phone Shadwell and arrange a visit. The voice at the other end of the phone was very apologetic, "We can't really arrange anything because Hamdanieh Habiba is being sold." I was shocked. "Who too? " I asked. "Well nobody as yet but she is for sale" the voice informed me. I asked the price, I could afford her, I blinked back tears and fought to keep my voice steady. "I would like to buy her, when may I collect her" I said. "Don't you want to come and see her, see what she is like?" the lady responded. "I know exactly what she's like, please, just sell her to me" . Within two weeks Hamdanieh Habiba was home with us in Herefordshire. 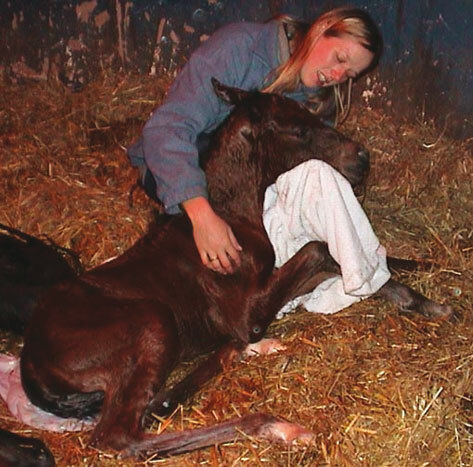 She'd had three foals at Shadwell so it was my intention to rest her and put her in foal this spring (2005), however, she took one look at the majestic Shuwaiman Al Bahrain and fell passionately in love. 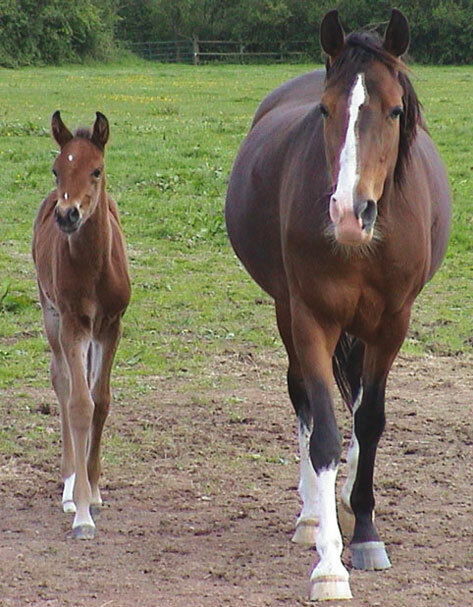 As her previous foals were all by A.I. 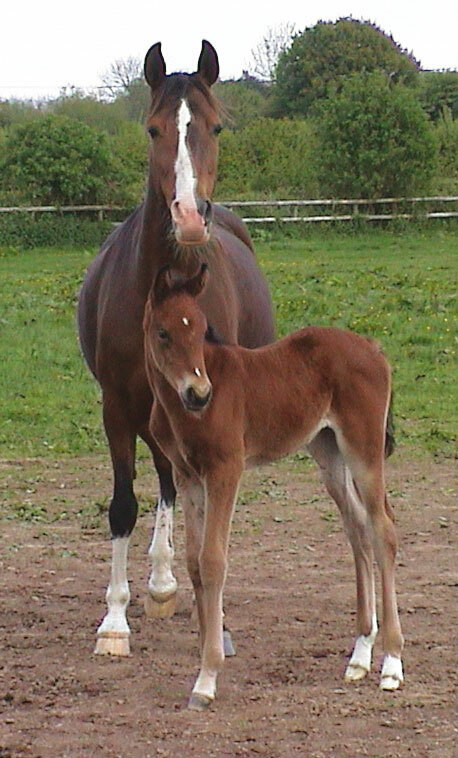 she took great delight in his powers of seduction and this spring gave birth to her first pure Bahraini 'Hamdanieh' filly, Hamdanieh Munya.